The best single coastal rowing boat, at the Coastal Rowing Centre, is the LiteRace 1X. 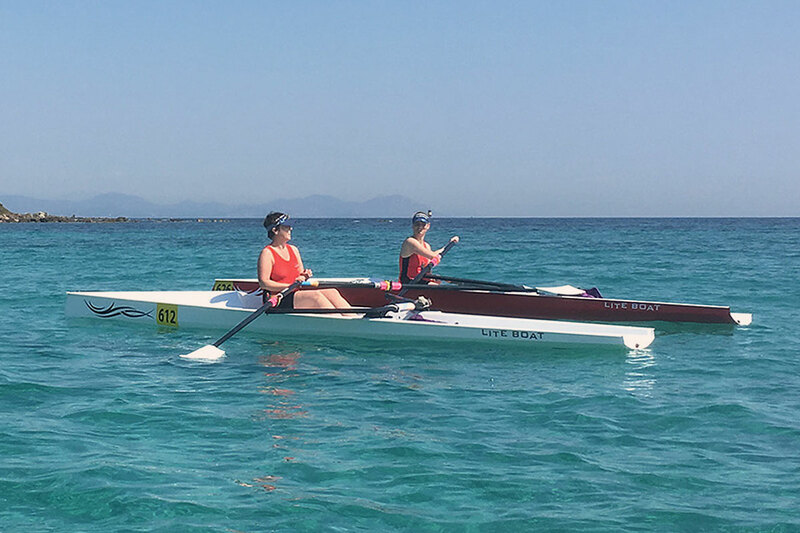 I have been coastal rowing for many years and I like to be able to go out on the water in most sea and weather conditions. The LiteRace 1X does the job. It is very stable in most sea conditions, giving you confidence in choppy waters and superb glide in calmer waters. In rougher waters its weight, 35kg, lets you maintain good balance and momentum across the water. It is a pleasure to row. The LiteRace 1X being 6m long, 0.75m wide and 0.43m deep. It weighs 35Kg with the riggers, 32Kg without. The LiteRace 1X is great as a leisure boat, not possibly for a complete beginner, but certainly for someone with some experience, that has captured the basics. It is also an high quality competition boat and complies with FISA regulations for offshore events. It regularly carries athletes to podium finishes. Interesting features of the LiteRace 1X are the open transom, so it is self draining; no bailing out required. It removable rigger system, with a quick release pin, means it is great when you are transporting the boat on your car or have restricted storage space. A useful optional extras for the LiteRace 1X include a large storage hatch which I would recommend; great for storing a splash jacket and water bottle when on the water. Off the water it helps to ventilate the inside of the boat when left open. It also has a choice of seat foam or carbon.